Oakley Lettings take off at Super B! Following on from the success of our new homes team at the Super B development by Brighton Station, Oakley Lettings have won instructions to let and manage over 25 of these luxury new apartments since its recent completion. Letting demand for the scheme has been fantastic, reflecting the high quality of this Hyde New Homes development, and Oakley Lettings Manager Murray Kerr has confirmed that most of the apartments which were available were let from a list of waiting tenants. 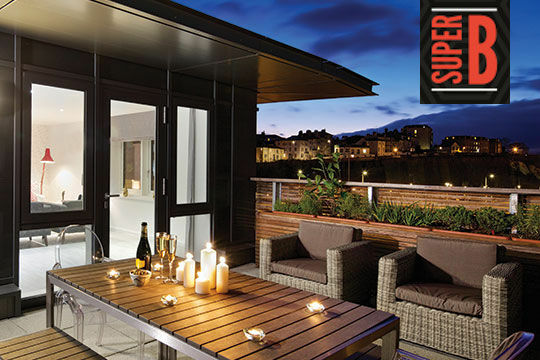 Oakley Residential Lettings are perfectly placed from their central City office to promote new developments such as Super B. Lettings Manager Murray Kerr commented. ‘The New Homes sector is a really exciting market place for Oakley. Working alongside our Sales team we are able to be extremely pro-active, offering our investment Clients who buy in these new developments a seamless letting service, following the completion of their investment purchase. In many instances at Super B, we managed to line up tenants to move in almost straight away following completion, so our Landlords have experienced very little rent voids!” If you are looking for residential lettings advice, whether it’s regarding existing properties, potential buy to let purchases, or simply just an up to date valuation, contact our lettings manager Murray Kerr for a friendly and professional service.